This semester’s Architectural Communication Techniques course’s midterm is different from the last semester. This midterm has two steps. 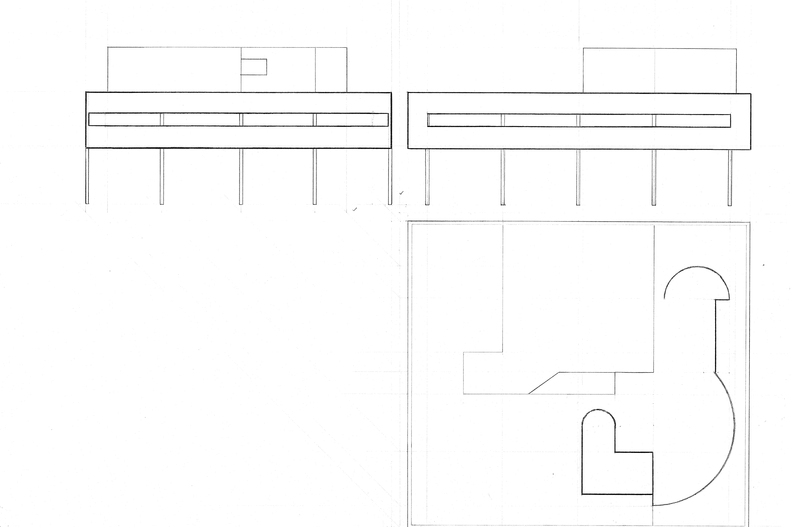 The first one is drawing of the given building’s all plans, two section drawings and two elevation drawings and the second step is a group work. In the second step, we will produce an abstract model of the given building. Our building is Maison de Bordeaux by Rem Koolhaas and here is the first step’s outcomes. In a limited time, I did Villa Savoye’s orthographic projection. A plan and axonometric drawing of Villa Savoye were given to us. By considering the pilotis on the plan I drew my grids.